The Apostle Paul is one of the most fascinating and controversial figures of history and one of the most important leaders of the Church. He was born about 10 A.D. in the Roman province of Cilicia, in the town of Tarsus. According to Jerome, Paul’s parents came from Galilee. Both were Jewish and of the tribe of Benjamin. Paul received thorough grounding in the Hebrew Scriptures. He was a devout adherent of his religion and an enemy of those who followed “the Way” of Jesus Christ. Paul stood by while Deacon Stephen was martyred in Jerusalem. He held the robes of those who performed the stoning. How is it that this man should become arguably one of the most influential thinkers of all time? And exactly what are his contributions to the Church? The answer must involve the divine formation of the man in both Jewish and Hellenistic thought. Paul of Tarsus was God's chosen apostle to the Gentiles and there could hardly have been a better prepared individual for the job. The elders of the church at Antioch recognized God's call on this man and commissioned him, along with Barnabas, to be an evangelist. In his missionary journeys Paul traveled over 57,000 miles and he endured many hardships and persecutions. Paul’s conversion and Christian baptism mark the beginning of his spiritual journey in Christ. This journey was one of gradual illumination punctuated by visions. One of these visions was especially clarifying of Paul’s call to be an apostle to the gentiles. In Acts 22, we read that Paul was praying in the Temple in Jerusalem and fell into a trance. He saw the Lord who said to him, “Hurry! Leave Jerusalem at once; they will not accept the testimony you are giving about Me.” Paul answered, “Lord, they know that I used to go from synagogue to synagogue, imprisoning and flogging those who believed in You; and that when the blood of your witness Stephen was being shed, I too was standing by, in full agreement with his murderers, and in charge of their clothes.” Then the Lord Jesus told Paul, “Go! I am sending you out to the gentiles far away.” (Acts 22:17-21) It was during his first missionary journey to the gentiles that Saul began to use his Greek name, Paul, a sign that he had taken the Lord’s commission seriously. Paul was familiar with Greek Philosophy. In Jerusalem, he studied under Gamaliel whose rabbinic school had five hundred pupils. Gamaliel taught Greek philosophy so that his pupils would return to their Greek-speaking provinces prepared to be leaders. Paul enjoyed a classical Greek education in Tarsus, a center of learning with a famous Academy that the Greek geographer Strabo considered better than the academies of Athens and Alexandria. Growing up in Tarsus, Paul would have heard great discussions and debates in school and in the tea houses and town square. Paul's training in Greek philosophy is evident as we examine his approach to Old Testament figures. Consider 1 Corinthians 15:20ff and Romans 5:12ff which demonstrate Paul’s Platonic approach of Christology. The first man, Adam, is imperfect but the second Man, Jesus Christ, is the perfect and true Form of humanity. God made humans in God’s image and likeness, but sin marred that image so that the first is imperfect. In Platonism, types are imperfect reflections of the true eternal Forms. Paul is using Platonic language to explain Jesus Christ to Corinthians and Romans who would have been familiar with this language. He wants them to see the pattern of revelation. The Old and New Covanants are accompanied by the sign of blood. Sarah’s bond with Abraham is a blood (consanguine) bond, as opposed to a Hagar's fictive (arranged) relationship with Abraham. The blod bond is always the stronger. Likewise, the Covenant of the blood of Jesus cannot be set aside. It is superior in rank and design to the Covenant of the blood of beasts. Hagar, the bondservant or concubine, can be set aside, but Sarah, as wife and sister, cannot be put away. Platonism regards the symbol as more real than the material appearance, so Adam as symbol is what concerns Paul in the I Corinthians 15 and Romans 5 passages. Using this same approach we are able to tease out the pattern of revelation about Jesus Christ not only in reference to Adam, but also in reference to other biblical figures such as Abraham and Sarah, Moses, and David. Using this same method, we are able to discover that Noah, Abraham, Moses and David are all types of Christ. They all fail to accomplish righteousness, yet point to the One Who is Able. The Platonic interpretative method uses both contrasts and comparisons. In the two examples above, Paul sets up a contrast. Consider what we discover in Scripture when we use comparison. Let’s explore other similarities that point to the revelation of Jesus Christ. Need for water brought Abraham to Egypt. Without water, he and his people would have perished in drought-stricken Canaan. Moses’ life was spared when his mother floated him on the Nile. Noah and his household were lifted above the waters in the ark. Jesus’ first miracle involved turning water to wine. Might the water-wine story suggest that the blood and water that flowed from HIS body brings about our redemption? Neither Abraham nor Moses had offspring in Egypt. 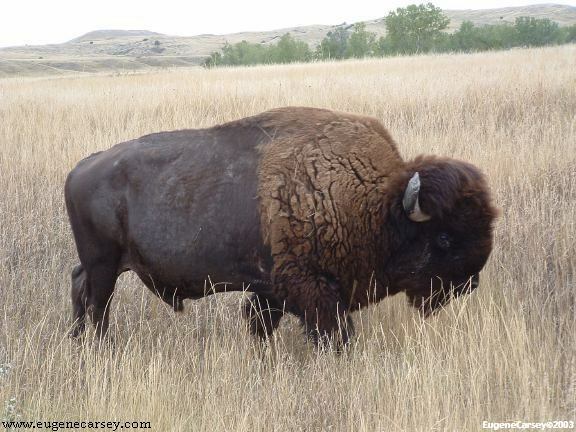 In terms of progeny, Egypt was not a fertile place for them (as compared to Joseph). Contrary to Dan Brown’s thesis, Jesus had no biological children while in earthly captivity. Abraham and Moses’ natural relationships became distorted while they were in Egypt. Abraham was temporarily estranged from his wife who was also his half-sister, and Moses was estranged from his people. Here we glimpse something of the cost involved in Christ’s taking on flesh and coming to live among us. Both Abraham and Moses left Egypt with greater authority and wealth. Jesus’ resurrection and ascension are His return from captivity to the glory that He enjoyed before the foundation of the world. Both Abraham and Moses were blessed by noble priests: Abraham by Melchizedek, and Moses by Jethro (his father-in-law). Jesus was blessed by Simeon, a man of great faith who had yearned to see the day of Israel’s deliverance. Both Abraham and Moses met their wives at wells: Abraham married Keturah in Beer-Sheba (well of Sheba) and Moses met Zipporah at a well in Midian. What does this suggest about Photini, the Samaritan Woman at Jacob’s well, as a symbol of the Church? Using the Platonic approach, we find that Christ is foreshadowed throughout the Hebrew Scriptures. Paul, John, Peter and the early Church Fathers found nothing in the Scripture to be extraneous to the Person of Jesus Christ. As with Isaac, Jesus’ sacrificial journey required three days. As with Isaac, Jesus carried the wood upon which he would be sacrificed. As with Isaac, the sacrificed one is bound. As with Isaac, the Son is sacrificed on a mountain. Only with Jesus, no substitute is provided because Jesus is the true Form, not the type. He is the true Son of God, not a ruler deified by his people as were his royal Kushite ancestors. I've wondered if Esau is behind Philippians 3:18-20 ("their god is their belly"). Here Paul might be resting on both Genesis (Esau selling off his blessing - a theme picked up by the writer of Hebrews 12:16)AND Platonism, which located the "appetites" in the "belly." (BTW Paul uses Esau as a type in Romans 9:13). I agree with you that to read Paul is to read a man steeped in the Jewish Scriptures, the Rabbis and Greek thought. It's also amazing to find paraphrases or allusions (not direct quotes) to Jesus' words in Paul. Takes some digging sometimes - but read Paul enough and you can't possibly come to the liberal conclusion that he "invented" something alien to Jesus. In fact, Paul's development of the church as the literal Body of Christ comes right from Jesus own words at the Last Supper and is totally consistent with the Lord's vision of "vine and branches" in John 15. But I digress. Back to your point: Paul is not a "proof texter." He has absorbed Scripture and philosophy and they are part of him, not just alien stuff from which to grab tidbits. Thanks for doing some justice to this much misunderstood and maligned giant of our faith. 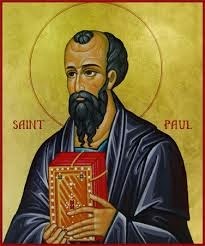 St. Paul is not only a foundational leader of the Holy Church, but also a world-class intellectual. Exactly right on. The more deeply one looks at his thinking, the more amazing he becomes. Definitely the right choice for Apostle to the Gentiles, but, considering that Our Lord made the choice, how could it be otherwise? tlf, I think you're right about Esau. There are many like Esau in high offices in TEC. They sell out the Gospel to satisfy their bellies. I thank Go d for St. Paul. This is a great explanation of Paul's ability to communicate crossculturally...between the Jewish and the Gentile cultures. It is the practical application of what he intellectually thought and taught. Indeed, in Christ there is no male or female, slave or free, Gentile or Jew...the Lord Jesus is the One symbolic, as well as physical, Whole of platonic perfection and holy revelation. Darren C. has emailed a comment about Photini. He had never thought of her as symbolizing the Church. 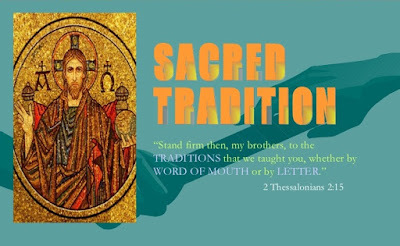 Her name in Greek means "Light Bearer" or "Enlightened One" and that is true for the Church. According to tradition, she led all her children to faith in Jesus Messiah. She went as a missionary to Carthage, where she was martyred. Photini was a Samaritan woman who spoke with Jesus face to face a Jacob's well. Among Eastern Orthodox Christians, she is regarded as equal to the Apostles.